A copy of Motor Industry magazine, 1959. Homepage. 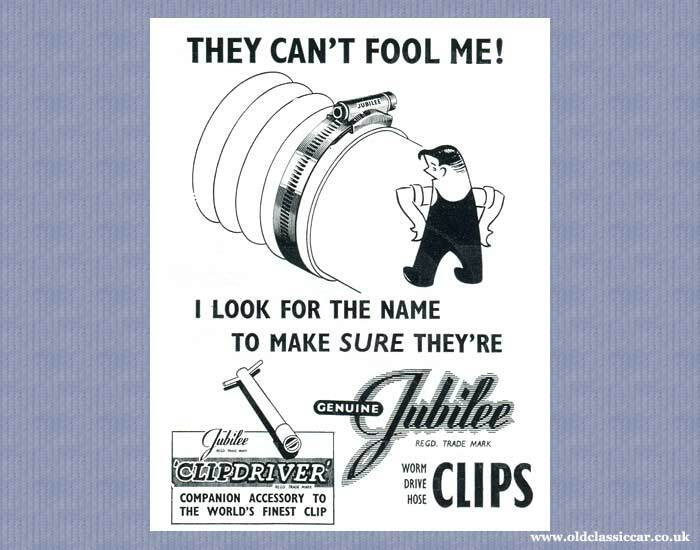 This page: A 1950's publication aimed at members of the motor trade. 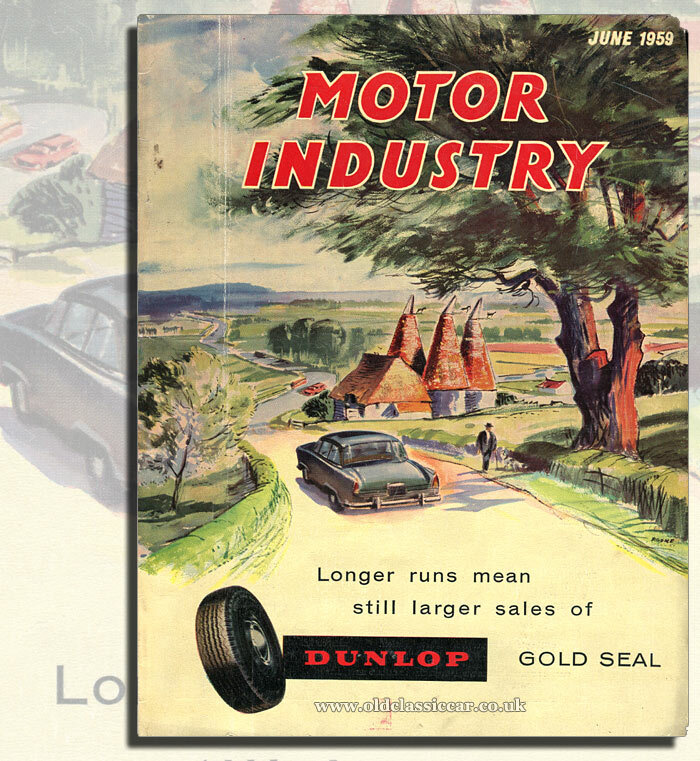 While titles such as The Motor and Autocar catered for Joe Public who wished to read about the latest models, or perhaps pick up hints on car maintenance and "get you home" fixes, it fell to trade magazines such as Motor Trader, The Garage & Motor Agent, and Motor Industry to provide the latest news for individuals involved in the motor trade. The intended audience would have comprised garage owners, mechanics, sales agencies, engineering workshops and equipment suppliers, all keen to keep abreast of the latest trends and influences in their day-to-day business worlds. This copy dates to June 1959, and is issue number 811. It was published on a monthly basis by Motor Commerce Limited, for which an annual subscription payment of forty-two shillings was required. Opening the magazine, it swiftly becomes clear who the target audience of Motor Industry magazine is, or rather was. The first 28 pages are packed with advertisements, aimed at the trade buyer and user. 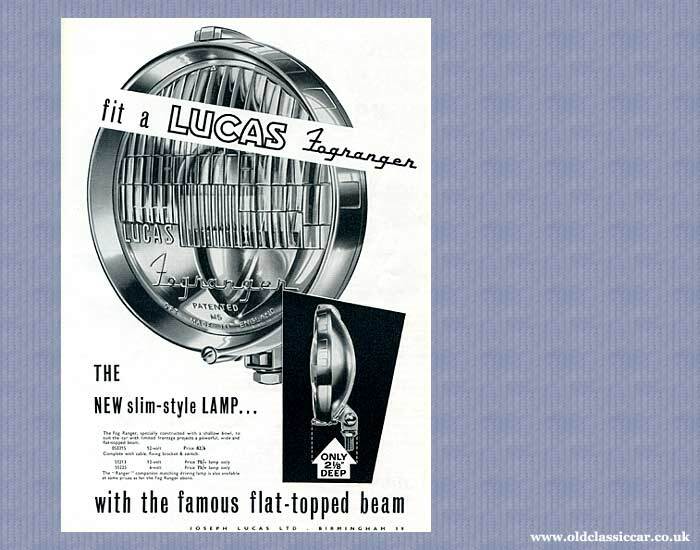 The old favourites are to be found, along with advertisements for companies selling products that weren't in themselves related to the automotive world, but would be of use to businesses in it. These include the Ilford Azoflex photoprinting machine. This sizeable piece of equipment was both a printing and developing machine, designed for use in a large drawing office. 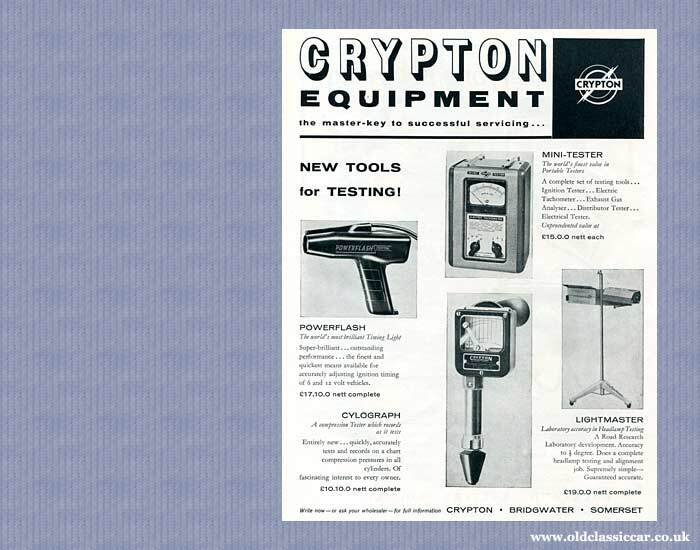 Car manufacturers and their suppliers would no doubt have made good use of such high-tech items of kit. Office lighting, by the Benjamin Electric Co. Ltd. of London, was also featured. News of retirements and new appointments throughout the industry would have been of interest to many readers back then, perhaps less so today. An article looking at how John Bull decided to approach the marketing of their "Envoy" tyres is of much more interest, and demonstrates how the idea of consistently linking together press publications, with promotions held at local sales motor factors and indeed on television, were becoming a lot more prevalent than had been the case before. Large Ford show held at City Hall, Manchester. Also worth a read is a feature regarding a promotion organised by the three main Ford dealerships in the Manchester area. 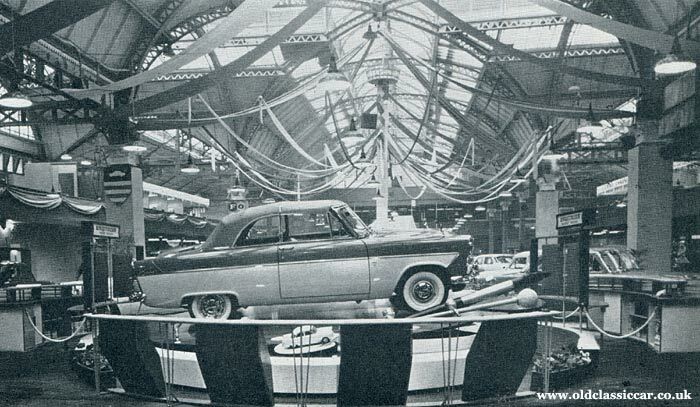 Called the "May Fair" Ford Show, it took place at City Hall, fifty years after negotiations had begun to secure the land in nearby Trafford Park, on which the Ford assembly plant would be built (Model Ts rolled out of the doors three years later). The organising dealers were Manchester Garages Ltd., H.E. Nunn & Co. Ltd., and H. & J. Quick Ltd, the latter still a name well known in the area for dispensing Ford cars to the local populace. In all, some 28 cars, 24 commercial vehicles, 5 tractors, and 16 "utility vehicles" were put on display. In addition, there was a 60ft-long accessories shop, a workshop in which live demonstrations were given (for example, wheel balancing, and sign-writing), a cinema, plus additional stands provided by related industries and interested parties, which included the local Police. An orchestra played throughout the 8-day event while, for the ladies, there was a regular fashion show. One of the most eye-catching displays was a rotating turntable, on which a two-tone Ford Zodiac Mk2 Convertible had been deposited. The same turntable had been used at the previous year's Earl's Court exhibition, although before it could be installed at City Hall, the floor of the venue had to be strengthened. There's a cracking advertisement for National Benzole fuels, part of which incorporates a photograph of Wiggins Garage. I love the style of 1920s/1930s garages anyway, so to see a photo of this fine establishment is very welcome. Lettering on the building itself points to Wiggins being able to supply new Standard-Triumph vehicles, and also Austin commercial vehicles. Parked outside are a couple of Standard 10 saloons, plus a Companion trying to hide in the background. A customer's sidevalve (sit-up-and-beg) Ford lurks behind the impressive row of motor spirit pumps. 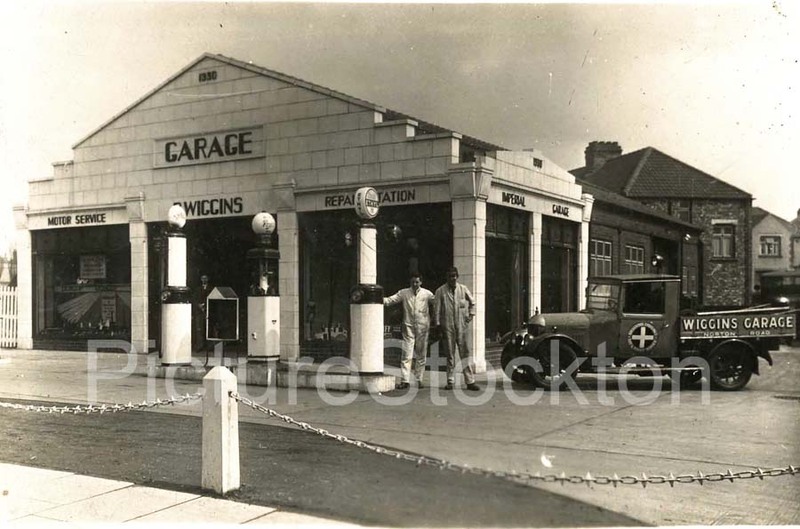 "It was in February 1930, at the beginning of the great depression, that the late Ralph Wiggins first opened his garage and filling station - amidst green fields, on the road between Stockton-on-Tees and the village of Norton." "As the building was faced in white brick, it was not long before those who should have been more far-sighted, nicknamed it "The White Elephant Garage". However, working long hours seven days a week with his two assistants, Ralph Wiggins successfully weathered the depression. By 1939, he had established a prosperous all-round motor business. The green fields had given way to vast housing estates; Norton has become a suburb of Stockton-on-Tees. The main road passing the site, in addition to being the principal trunk route south from Wearside, was also carrying all the business and commercial traffic to the vast chemical works of South Durham." "In 1942, Mr Wiggins died leaving a widow and son to carry on." "In the twelve years since the war, business has steadily increased and the whole of the original site purchased has now been developed and the total staff numbers 30." "Two of the four pumps originally installed were allocated to National Benzole and Power and for twenty eight years (except for the days of Pool) these two brands have never left the site. So when solus was suggested there was no hesitation." "Today an every increasing gallonage of Super National, National Benzole, Power and Power Diesel is being sold through the five pumps. The directors and staff cannot speak too highly of the help and assistance given by the National Benzole Company. "You couldn't find nicer people to work with", is a constant remark of Mr B. Wiggins, who is certain that Wiggins Garage Ltd., is going places with National." Mr B. Wiggins, a little online research reveals, is Mr Barry Dixon Wiggins, who died in 2012. He joined the family business in the 1950s, following a spell of National Service with the RAF. In the 1970s, he served as an engineer with the Kenyan Air Force. 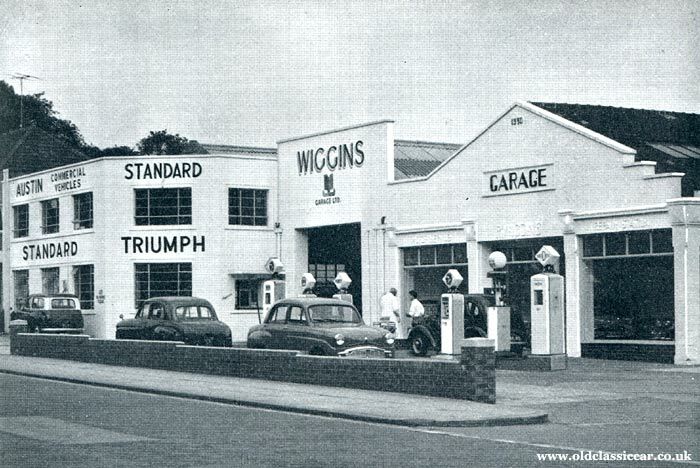 A photo on another website (link) shows how the garage looked in its earliest days with R. Wiggins, when it was called Imperial Garage. It began as a showroom with workshops behind it. Clearly in later years, the building was extended onto land on the left, as business increased. It was located at the junction of the A139 Norton Road, and Imperial Avenue. The site is now host to a Jet petrol station, with nothing remaining of the original garage building. 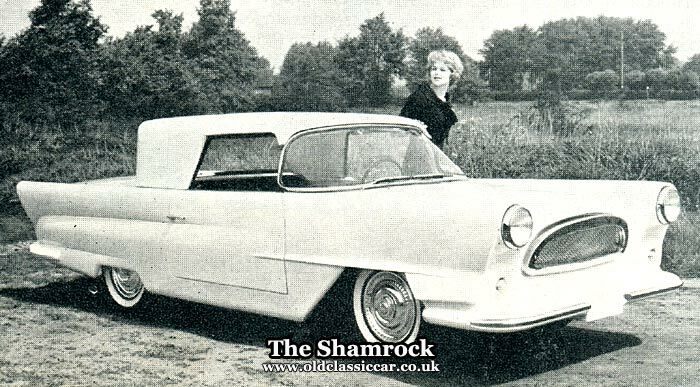 The Shamrock car, built in Ireland. "Styled for the American market the new Shamrock sports saloon, bodied in resin-bonded glass fibre, is to be produced in Southern Ireland. This unusual manufacturing location was chosen because Shamrock chief, W. Curtis of the USA, wanted to bring employment to people living in the area of his wife's former home." "Making use of the existing spares and service network in the USA, the car has an Austin A55 engine and other BMC components. The design and styling were by Spike Rhiando, the Canadian racing driver who frequently drove with Harry Schell. By using glass fibre he has kept the weight of this occasional four-seater down to 17 cwt." "The immediate aim is a production of 3,000 cars a year rising to 10,000 annually. Quantity production is expected before the end of the year." Despite great ambitions, the future of the Shamrock was decidely short-lived. Performance of the car was found to be lacking, as the 1.5 litre four-cylinder engine more commonly found beneath the bonnet of Austin Cambridges, rated at 53 bhp, simply wasn't up to the job of heaving this large machine down the road with any gusto, despite being bodied in GRP. Amazingly, to remove a rear wheel necessitated the back axle to be dropped - not ideal when dealing with a puncture. During a production run that lasted only six months or so, just ten examples are believed to have been built, of which eight are known to survive. The remaining unused parts, once production had ended at the 40,000 sq ft factory, were unceremoniously dumped in a local lake. As mentioned, much of the material in this magazine relates to goings-on with the automotive world - appointments, retirements, social gatherings, and a constant bedfellow of anyone involved in the motor business, legislation changes. While not always thrilling to flick through, these articles shed light on the business as the 1950s edged ever closer to the 1960s. More interesting to me though are the old advertisements, a few of which now follow. Quite what happened to this magazine I don't know, presumably it was re-named at some point in future, or merged with another industry title. This is the only copy of the magazine I have in my files. Return to the motoring magazines section, where examples of other trade titles from Britain and abroad are featured.